This was a film I watched when it originally came out at the cinema and I liked it so much, I bought it on DVD when it came out. But I haven’t actually watched it in a while. Next to horror, fantasy is probably one of my favourite genres. The trailer of this movie originally captured my attention. The relationships between the characters and the fantasy elements were what helped this movie to become one of my favourites. I liked the fact that Dastan’s relationship with his father and brothers was so strong, despite his original upbringing. Although there was obvious rivalry between him and Garsiv, I felt there were moments in this movie that indicated how close the two of them clearly were. I also really liked the romance between Dastan and Tamina. Despite it being quite a cliched one, I did think their banter and flirting worked well throughout the film. It was also good to see the time spent developing their relationship… even if their first kiss happened at one of the most awkward moments. The concept of a dagger with the ability to turn back time was quite an intriguing one and it was good to see that, not only was it utilised well, its power also wasn’t limitless. There were some nice comedy elements in this movie, I felt, as well as the brotherly bond that I enjoyed watching so much. I liked Dastan a lot, but Garsiv was probably my favourite character. When I originally saw the movie, I didn’t like him that much… but he did grow on me. There were some very cool fight scenes and special effects in this movie. It was really entertaining to watch and did a very good job of drawing me into the world. I thought the supporting characters were particularly good… even if some of them were a bit creepy. 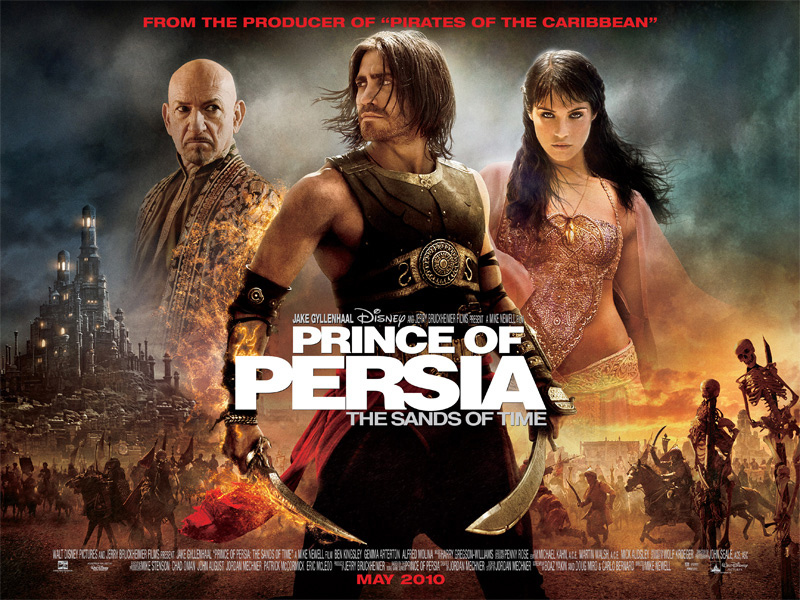 There were quite a few actors I recognised in this and I felt, personality-wise, they did fit the characters… even if their appearances weren’t Persian. That was the only thing I felt was a bit disappointing in this film. All in all, this was an entertaining couple of hours spent and definitely a film I intend to watch again. There might be cliches in it… but sometimes the cliches work.